LUDA is an indigenous rapper fresh, energetic and what you call an all-round entertainer. Luda is a Nigerian musician who uses his Afro Rap rhythm to tease and appease music lovers all over the world. 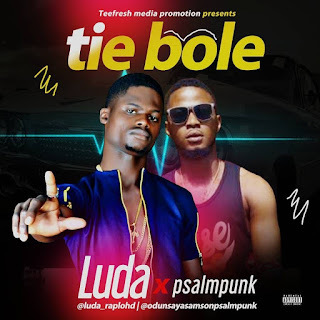 Luda & Psalmpunk teamed up to dish out this Hot Street Singles which is the latest New Wave Banger in town. Tagged "Tie bole"